“Make America Great Again” was Donald Trump’s campaign slogan. It appeals to the people whose hearts beat with patriotic fervor. But what does such a slogan explicitly point out? Syntactically, Trump is telling Americans that the United States of America is not great. A country can only become something again when it is currently not that something it seeks to recapture – in this case, that something is greatness. So currently the US is not great according to the mantra of Trump. Two questions are raised by this? 1. When was America great? 2. How will Trump make America great again? Obviously, to be become great again, America must have at one time been great. When was that? Was America great at its inception? In an era when it was killing Indigenous peoples, violating treaties, and stealing their land? Can you be great when the early colonists, many professedly Christians, broke sacred commandments like “Thou shalt not kill” and “Thou shalt not steal”? Was going to war with Mexico from 1846 to 1848 to aggrandize the US landmass great? Was it great when the US allowed slave labor for the profit of slave owners? The Emancipation Proclamation was not issued until 1863, so unless a person believes that a country in which slavery can be practiced is great, then greatness must not have been possible until the later half of the 19th century. There are, however, some niggling complications to be discussed below. In 1893, US corporate interests engineered an overthrow of the Hawaiian monarchy and annexed the islands. Was this great? Yes, the US Congress apologized, but how great of an apology is that? If someone steals your car and says sorry, but that person does not return your car and instead continues driving it around town, would you be content with the apology? Can such an apology even be construed as sincere? Near the close of the 19th century, the US went to war with Spain. 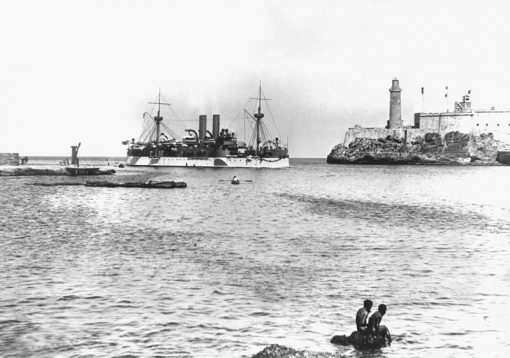 While docked in Havana Harbor, an onboard explosion occurred sinking the USS Maine with huge loss of life. The cause of the sinking remains mysterious; some point to a spontaneous combustion fire. Nevertheless, despite unclear etiology, the US government, urged on by the yellow journalism of newspaper magnates, blamed Spain and went to war. Spanish colonies fought with the US against Spain. At the war’s end, the US subsumed administration of the former Spanish colonies. Aspirations for self-determination by Cuba, Puerto Rico, Guam, and the Philippines were crushed. After bloody wars against the US, the Philippines finally gained independence in 1946. Cuba liberated itself in 1959 (although Guantanamo Bay remains occupied by the US). Guam and Puerto Rico remain de facto colonies of the US. The 20th century also does not look great on the moral front for the US. The US entered WWI and WWII in the later stages of each war, and it helped to defeat imperialist warmongers in Europe and East Asia. It came up with the Marshall Plan to help Europe back on its feet again and provide markets for US capitalism.1 Then in 1969, the US accomplished a spectacular feat by placing the first men on the moon. However, at the same time back on planet Earth, the US was waging war against an already war-ravaged Viet Nam that wound up killing millions of Vietnamese, and this came on the heels of waging war against North Korea also killing millions of Koreans. Neither of these countries posed a military threat to the US, and both wars imposed military defeats on the US. As soon as China entered the war in Korea, it pushed the US back from the Yalu River all the way to the 38th parallel. The US war on Viet Nam was a resounding defeat for the US, one that witnessed US troops scampering, at war’s end, from a Saigon rooftop to be transported to safety by helicopters. Elsewhere, in the middle of the Indian Ocean, lies the Chagos archipelago, the site of more questionable American greatness. There the British government conspired with the US to remove all Chagossians from the British colony (which Britain had severed from Mauritius) to serve as an unfettered American military installation. It remains an ethnically cleansed strategic platform for American imperialism and militarism, as well as a site for extraordinary renditions. Slavery was long ago outlawed, but racism and discrimination were still rife in 20th century America. It wasn’t until the Civil Rights Act of 1964, the Voting Rights Act of 1965, and the Fair Housing Act of 1968 that the legal sanctions of racist Jim Crow laws were repealed. Aside from the violence against Blacks on the homefront, the US was involved in several violent incidents in the 20th century such as the dissolution of Yugoslavia, the invasion of Grenada, Panama, Chile, etc. Is greatness conferred by waging violence? Especially violence against smaller, less militarily armed countries? Has America ever been a noble beacon on the hill? Has it been an exemplar for democracy, freedom, human rights, and equal opportunity – values that would indicate greatness? Has the 21st century seen a move toward American greatness? In 2003, the Persian Gulf Slaughter, led by the US, saw a genocide committed against Iraq based on a contrived casus belli. 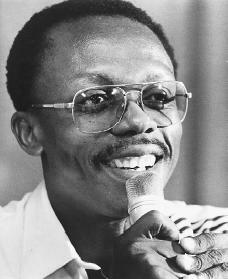 In 2004, the US, abetted by Canada and France, orchestrated a military coup against the elected president of Haiti that forced Jean-Bertrand Aristide into exile overseas. Then there is the ongoing war against Afghanistan; the war against Libya; the warring against Syria; a US-backed coup in Honduras; US-backed coup plots against the government in Venezuela; and unabated, continued support for the occupation and oppression of Indigenous Palestinians by the Jewish state. The litany of moral depredations that America wreaks upon peoples or that it is fully complicit with demand legal redress. Given the above, this writer regards with extreme skepticism the notion of America ever having been great in any meaningful sense. Granted, great deeds have been accomplished in America, including developing a leading university system; technological breakthroughs in astronomy, aviation, transportation, communication, armaments; entertainment; sports; etc. However, the deeds do not add up to a great nation. How will Trump make America great again? Or, more correctly posed: how will Trump make America great? Because it seems that America was never truly great. As per the foregoing arguments, I will dismiss the “again” part of Trump’s slogan. Sans the “again,” the slogan is not quite appealing. 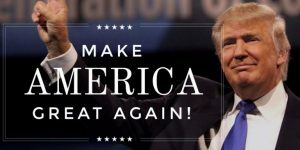 After all, a reformulated slogan like “Let’s finally make America great” probably wouldn’t be great for attracting votes. Better to appeal to the capricious American dream. But Trump’s slogan alone will not reify American greatness. So how is Trump going to make America great? By building a wall to keep Mexicans out? Trump is also pushing for a ban on travel from, originally seven now, six predominantly Muslim countries. Is this selective isolationism — identifying certain, purportedly undesirable nationalities and keeping them out — a nascent sign of greatness? Is eliminating health insurance for millions of people while cutting taxes for the wealthy a great idea? Is Trump chumming with Saud clan fat cats — the kleptocratic, misogynistic moneybags for ISIS — a great choice of allies? Is shooting down a Syrian plane in Syrian airspace, unilaterally setting up US military bases in sovereign Syria, and bombing the country legal, ethical, or a sign of greatness? Was the lethal US raid on Yemen and its ongoing involvement is a siege creating a cholera epidemic that is killing thousands of children a sign of America becoming great? Is championing fossil fuels, disregarding the precautionary principle, and jettisoning participation in the Paris climate accord a sign of greatness? One wonders, just how is it that Trump will make America great, regardless of whether it is again or for the first time? Greatness is not conferred by having the most billionaires and neither by having the biggest corporations. When at the same time there are millions of working poor and unemployed what is indicated? When there are millions who are homeless and nourished by dumpster diving what does this tell one about the greatness of a country? Clearly, there is a wide chasm between the haves and have-nots. This is not greatness. The number of skyscrapers, the number of overseas military bases, the number of nuclear weapons, Silicon Valley, and the glitz of Hollywood do not mask the stench of a having a huge underclass that refutes any claim to greatness. Greatness is a transcendent quality that sets itself above all else. Greatness is anathema to moral turpitude. The destruction of Indigenous peoples, the subjugation of others to slavery, the constant resort to lethal violence to impose one’s will, and the deteriorating quality of life for millions of people on the domestic front point toward a quality that rebuts any claim to greatness. Instead of his bellicose rhetoric against China, Trump would be better advised to consider how the Chinese are pursuing a peaceful path to greatness. Unlike the US, China has pledged no first use of nukes. Although China has strengthened itself militarily (and who can blame it given that China is ringed by US military bases, and given the way an unfriendly US conducts itself in the South China Sea and elsewhere in the world), Chinese Communist Party chairman Xi Jinping affirms that peace is the way to settle disputes. China has an extraordinary goal: it is on target to eliminate poverty by the year 2020. Imagine that! No manned moon landing can compare since the elimiation of poverty is not based on a vicarious pride; rather, it is a social development that affects every citizen directly. Moreover, the rising dragon is also poised to place humans on lunar soil. Instead of imposing the scourge of war on small countries, China is a country that aspires to greatness through peaceful dialogue and by ridding itself of the scourges of hunger, homelessness, and other attributes of poverty. China partners with other nations to develop their economies; as such it funds and engages in multilateral economic development with a host of nations. Africa is not just a source for resource exploitation; China invests heavily in African infrastructure development. Across Asia and into Europe China invests in the mega Belt and Road Initiative that is spurring economic activity across Eurasia. Is China great? In terms of the nation state, some kind of agreed upon definition is required. Assuredly, any meaningful definition of greatness would preclude wreaking violence on others. And how great are you if you can not properly care for and provide the basic necessities for your own citizens? I am not ready to pronounce China to be great,3 but the policy directives and the steps China has embarked on appear promising. In the case of America, to become genuinely great a first step is demanded. Since America exists as a nation state through its denationalization of Indigenous nations, it must first address and atone for this longstanding injustice. Second, America must sincerely address the historial wrongs committed against African-Americans. And should that day arrive — and hopefully soon — when America has ridden itself of racism, poverty as well as resolutely disavowing violence, then it may be considered to have genuinely attained greatness. This article was posted on Monday, July 24th, 2017 at 7:03am and is filed under Colonialism, Donald Trump, Imperialism, Patriotism, Poverty, Racism.